Eidul Fitr is a festive occasion in our country comprising of multiple (3 – 4) holidays every year. These holidays result in a long weekend which proves a lucrative window for cinema business. Friends, Families, Individuals pour in to watch their favorite stars and films during these holidays. Traditionally film producers present their premier productions on such occasion. The long weekend of the Eid provide a strong opening to the films released and even after the Eid holidays if the film fails to sustain its business, it has already earned reasonable amount during the Eid holidays. During Eid holidays all the cine goers want to watch some film and even if they fail to get the ticket of their favorite film, they watch the other film and thus every film benefits from Eid holidays. Here is the compilation of the Eid releases with a minor comparison with the films released on Eidul Fitr last year. Bollywood films are the life line of the cinema industry of the Pakistan. Their consistent success in Pakistan has helped reviving the dying cinema industry in our country. Seeing the favorable response these films receive in Pakistan, many investors are investing in this field by constructing new multiplexes. Construction of the new multiplexes is in full flow at large and small urban centers in Punjab, Sindh and Islamabad which are the major circuit of the Bollywood films. Bollywood films in general perform very well in its opening week. But Bollywood films starring any Khan proves super successful in Pakistan. Last year on Eidul Fitr Salman Khan starer Bajrangi Bhaijan proved blockbuster and earned around 23 – 24 crores a massive figure on Pakistani box office. Due to their popularity Bollywood films are allocated maximum number of shows at premier time slots in all cinema houses and multiplexes. 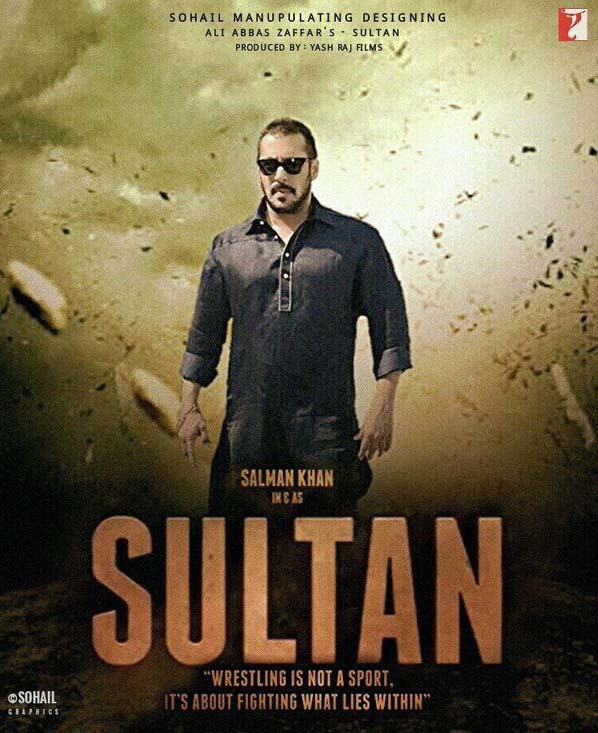 This Eid another Salman Khan starer Sultan is releasing and like every year it is expected to earn huge. Sultan is the based on the life of an Indian wrestler. In recent years locally made Urdu films are gradually gaining foot hold at the box office. Last year two Urdu films Wrong No and Bin Roye were released on Eidul Fitr which despite allocation of few shows performed very well. Wrong No earned 15 crore and Bin Roye earned 10 crore in Pakistan. Apart from local market, success of Bin Roye was overwhelming overseas especially in UK where it earned more than the local earnings. Both Wrong No and Bin Roye were produced in Karachi. This year again two Urdu films are lined up for release named Swaal 700 Crore Dollar Ka and Khushi. Swaal 700 Crore Dollar Ka is the only major film to be released nationwide, while Khushi is a low budget film which will only release in Punjab. Another major film of Eid was Blind Love which is now delayed to 29th July 2017. Screening of a giant Bollywood film like Sultan leaves limited screen space for Urdu films and thus Blind Love is delayed. 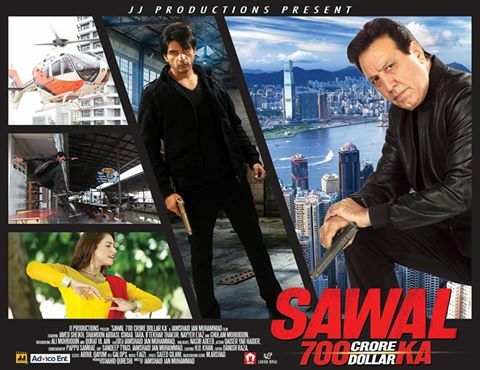 Swaal 700 Crore Dollar Ka (SSCDA) is an action film shot in Thailand and Pakistan. Ali Mohiuddin and Quratulain are making their debuts from this film. Ali Mohiuddin is the son of the famous film artist Ghulam Mohiuddin. The veteran artist of our films Javed Sheikh and Ghulam Mohiuddin will also be seen together in a film after a gap of many years. where the scandal of the off shore companies is leading the news. Khushi is a low budget Urdu film produced in Lahore. It will only be released in Punjab on single screen cinemas. Zeeshan Sikandar and Saima Khan are the leading artists of this film and it is directed by Shahzad Haider. Punjabi is the largest spoken language in Pakistan. Punjabi cinema was once the life line of our film industry. However the popularity of the Punjabi cinema has almost completely faded in the last decade. Two low budget Punjabi films are releasing on this Eid. Both these films are typical gundasa/gujjar films with action, dances and loud acting. Pashto is the second largest spoken language in Pakistan and has a thriving cinema too though the quality of Pashto films is considered very low. The circuit of Pashto cinema is limited but has a dedicated audience and most of the Pashto films easily recover their expenditure. Pashto films are released in the province of Khyber Pakhtunkhwa (Peshawar, Mardan, Noshehra, Swat), Balochistan (Quetta only) and Sindh (Karachi Only). Pashto films are also released in Afghanistan and UAE which have a large Pahsto speaking population. This Eid five Pashto films are expected to release named ganda geeri na munam, mina na minam, raja obaz, parang, bazo shehbaz. So it sums all the films lined up for the upcoming Eid.